If you've been in a car accident, it's likely that you feel like your world has been shaken. It's important that you work with medical care professionals who you can trust to treat any injuries. 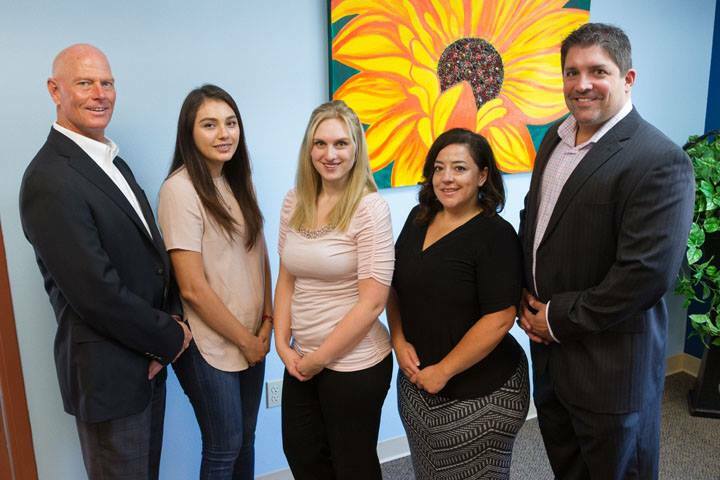 At Metro Denver Accident & Injury Centers in Lakewood, Aurora, and Westminster, our chiropractors are experienced, licensed professionals who provide compassionate, holistic care to people who have had the misfortune of suffering from a car accident injury. Since our chiropractors specialize in the treatment of car accident injuries, we're laser focused on staying up to date with the latest, least invasive techniques. We're experts at seeing what conventional medicine can miss -- spine misalignment, whiplash, and bulging discs that can cause pain for years to come. We recognize the value of traditional medicine at times, but we also respect the fact that most people would prefer to heal their bodies in a natural, lasting way, instead of relying on chemical painkillers that only mask symptoms. We provide complete care for our patients, and we'll be there with you through your recovery. Dr. Christopher Higgins is a licensed chiropractor who has been serving the Denver area since 1992. Dr. Ron Losiewicz has been serving patients since 2002. Both Dr. Higgins and Dr. Losiewicz believe in treating their patients as whole people, focusing on the body's health as a whole, rather than seeing people as a mere collection of symptoms. We are one of the few chiropractic centers that utilize motion X-ray technology. This advanced X-ray technology can zero in on potential injuries while you are moving, allowing our chiropractors to catch small injuries that would otherwise go unnoticed by medical professionals. We have two massage therapists who can be a valuable part of your treatment plan, providing you with pain relief and relaxation after your injury. Our chiropractor will provide you with corrective exercises and stretches in a progressive manner. This means that your plan will be designed to meet you where you're at, progressing to become more intense as you heal and regain your strength. We use a variety of methods to treat a variety of injuries that occur during car accidents, including spinal decompression, mobilization techniques, and spinal adjustment. Have you been in an auto accident? If so, early treatment of your injury can be key. It's important to be seen before you start to develop symptoms. If you're in Lakewood, Aurora, or Westminster, call Metro Denver Accident & Injury Centers to set up your first appointment. We look forward to restoring your body to a pain-free state.